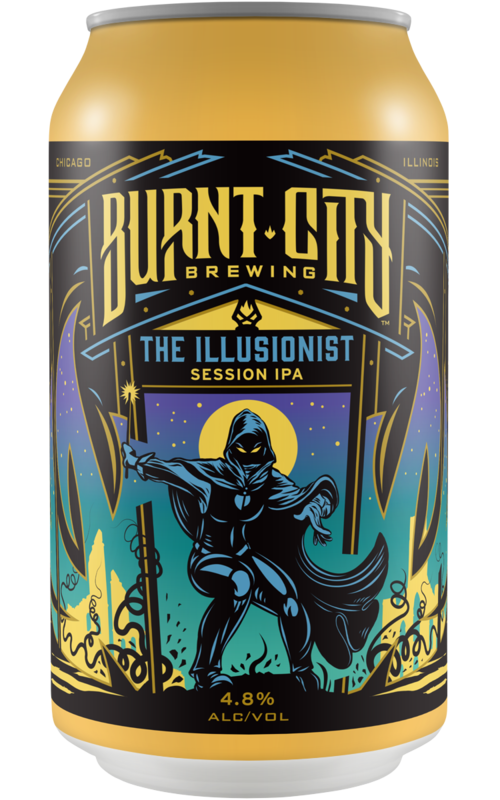 The Illusionist Session IPA is available in 12 oz cans and on draft in 1/6 bbls and 1/2 bbls. Generous amounts of Ekuanot and Citra hops disguise the low-key ABV of The Illusionist. Tropical fruit and citrus flavors are chased with a delightful, balanced bitterness. A great choice when you want to drink beers all day without having to sacrifice flavor or wake up in jail again. The only magic at work here is how we managed to pack all these tropical flavors into an IPA that’s only 4.8% ABV. You can take this mysterious wonder with you anywhere to interest, impress, and enjoy. But don’t be surprised if it disappears without a trace.